I saw the trailer for Mad Max: Fury Road a couple of months ago and I was instantly enticed by the brand new Tom Hardy/Charlize Theron duo. The two have taken charge of the lead roles in the fourth instalment of the classic Mel Gibson-fronted Mad Max franchise. However, I was nervous that none of my friends would want to go and see it with me because it is a very specific type of film. Much to my surprise, my entire group of friends came together to see what director and co-writer George Miller would bring to the table … he did not disappoint! 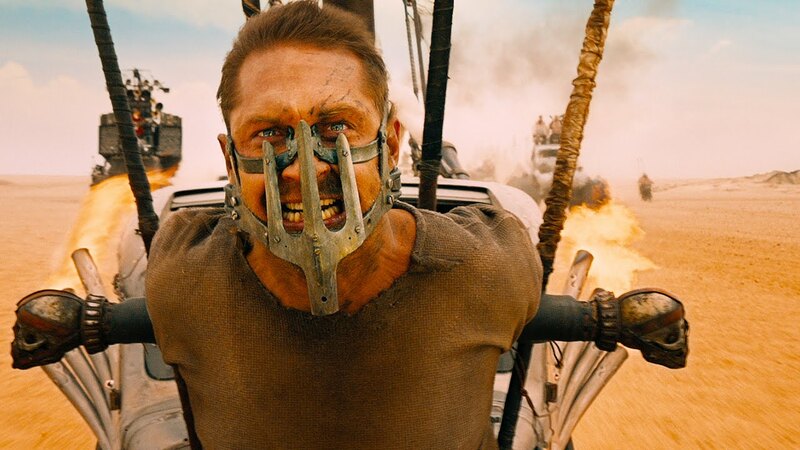 Mad Mad: Fury Road is the first film of the franchise in 30 years, therefore I personally believe that George Miller’s decision to replace Mel Gibson with Tom Hardy in the title role of “Mad” Max Rockatansky was brilliant. For those who didn’t grow up with the classic trilogy, don’t worry about watching all three before going to see Fury Road. The storyline is easy to follow so you won’t feel like you are missing the boat on any major plot points. Mad Max: Fury Road is a post-apocalyptic action film set in a desert wasteland that features a loud soundtrack, as well as extreme amounts of violence, car chases, and explosions. So, before I jump into any specific plot lines I would like to point out that I would not recommend this film to you if the previous sentence doesn’t sound like something you would enjoy. As for me, I thought it was fantastic as it was extremely well acted and executed! 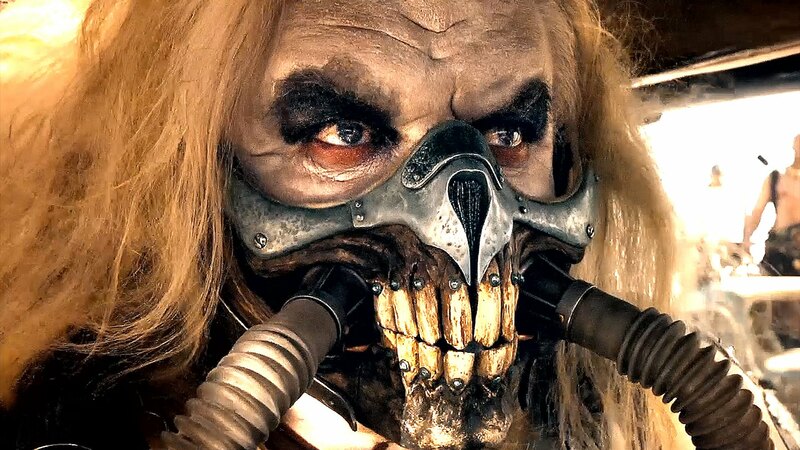 The film opens with Max speeding off in his car as an attempt to avoid capture by the War Boys, who are the army of the insane and powerful Immortan Joe (Hugh Keays-Byrne). The ensuing car chase ends with Max being taken prisoner back to the Citadel where Immortan Joe has the largest food, gasoline, and water supply of the land under lock and key. Sadly, Max is chained up and will be further used as a “blood bag” in order to provide healthy blood transfusions for the sick War Boy Nux (Nicholas Hoult). 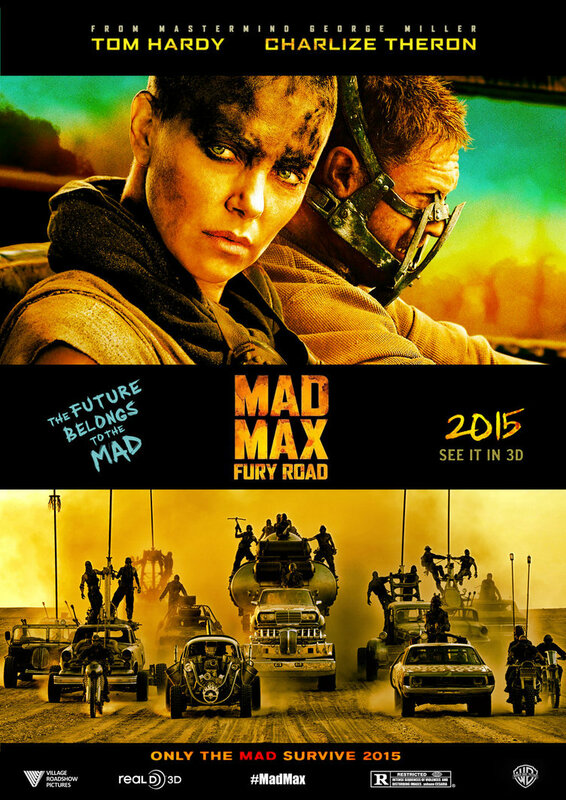 Soon after, the stunning Charlize Theron finally appears on screen as the fierce Imperator Furiosa. She drives the largest armoured truck “war machine”, and has been tasked to go out and collect gasoline for the Immortan Joe. Midway through her trip she defiantly turns off-route. Joe quickly realizes that his prized possessions, his five wives dedicated solely for breeding, have been stolen by Furiosa. Immortan Joe suits up and then leads his entire army, as well as the surrounding allied towns, into a heavy pursuit. Nux was in the middle of a blood transfusion when the alarms are sounded, so he straps Max to the front his car and joins the ensuing battle. Furiosa courageously drives straight into a sandstorm in an attempt to evade the army. An excellent combination of explosions, special effects, aggressive moves, and close calls provide an epically visual death chase. Nux’s car is the only one that makes it through the sandstorm so he decides to sacrifice his car in attempt to destroy the war machine, but Max thwarts his plan. 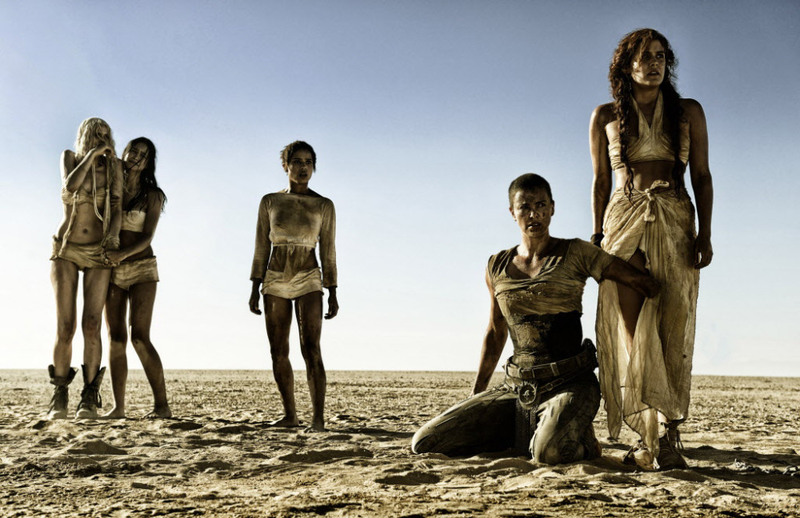 Max successfully restrains Nux and sneaks up on Furiosa and the wives: Angharad (Rosie Huntington-Whiteley), Toast (Zoe Kravitz), Capable (Riley Keough), Cheedo (Courtney Eaton) and Dag (Abbey Lee). 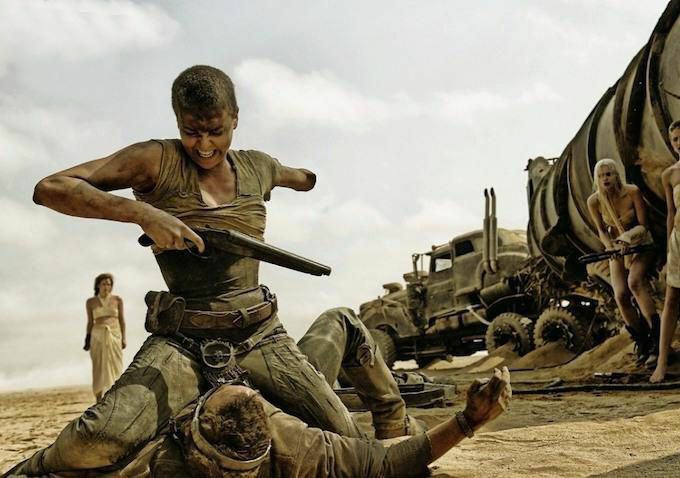 A glorious fight occurs between Furiosa and Max, which results in him attempting to flee alone in the war machine. Much to his dismay, Furiosa has a specific kill switch set on the war machine. 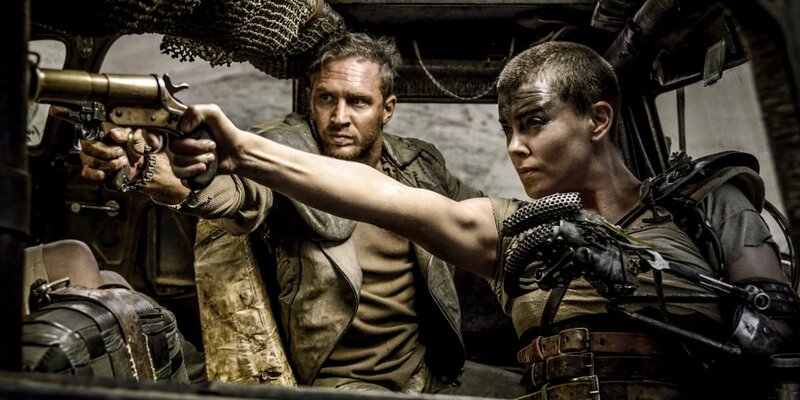 Furiosa successfully convinces Max to let her and the girls travel with him as they flee together from Joe’s army. Furiosa tells Max that they are end goal is to reach the “Green Place”, which is the place she was born and stolen from in her youth. 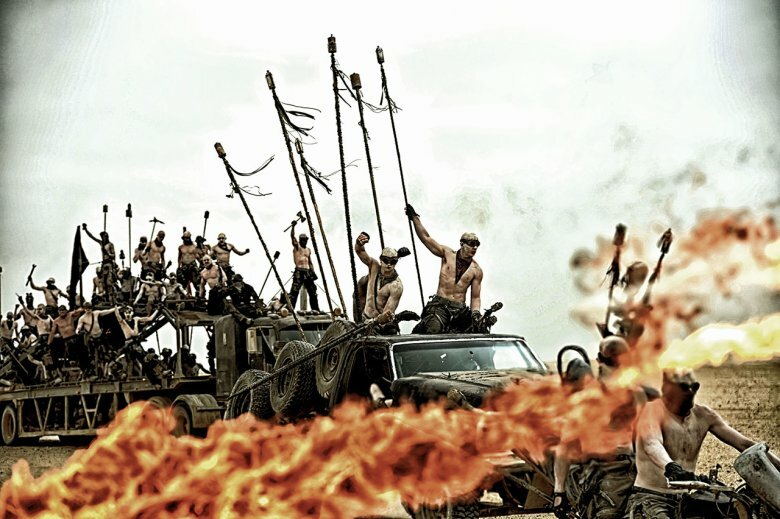 They then decide to drive into enemy territory towards a narrow canyon, which Furiosa has planned ahead of time to exchange gasoline for safe passage. 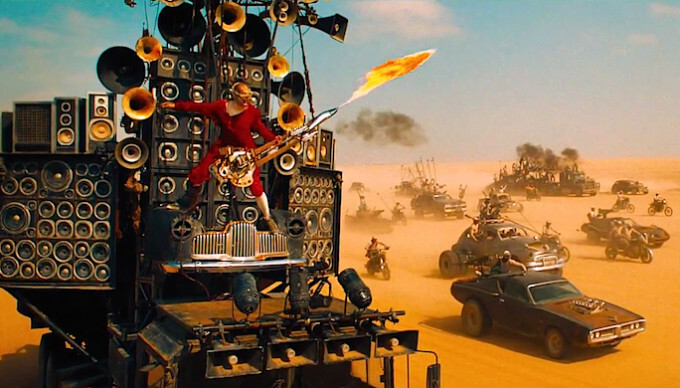 Iota, who plays “The Doof Warrior”, was excellent as he provided the soul to the film with his thunderous guitar playing. Fun Fact: he was actually strapped to a moving vehicle while playing his guitar, and the flamethrower was fully functional! Nicholas Hoult was stupendous in the role of Nux as his moral code fluctuates throughout the film convincing him which side to fight for. Zoe Kravitz in the role of “Toast the Knowing” was my favourite wife as she was defiant and fierce when she needed to stand up for what she believed. Lastly, Charlize Theron was hands down the sole reason to go and see Fury Road, she was strong and ferocious but just as equally vulnerable and exposed. For even more Mad Max: Fury Road items, check out both the official trailer below and an excellent interview of Tom Hardy and Nicholas Hoult.